A New Voice on Richmond's Egghunt Records Finds His Groove With a Self-Produced Album | Music | Style Weekly - Richmond, VA local news, arts, and events. 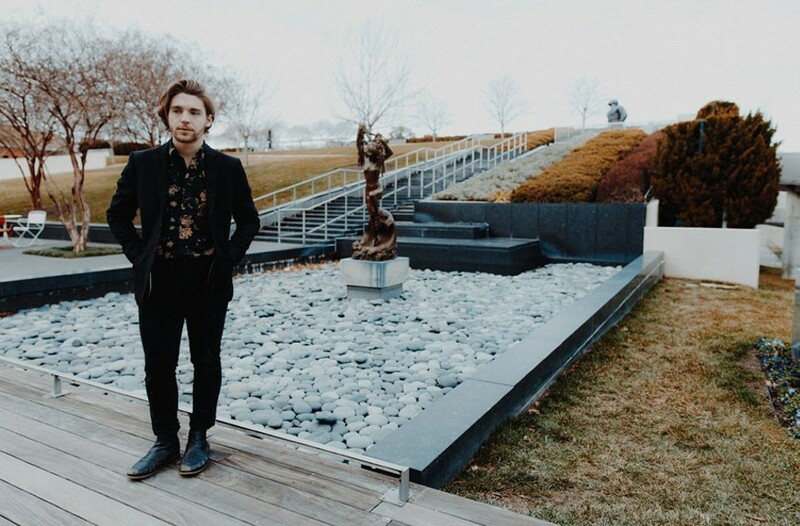 Local musician Andrew Carter’s solo project, Minor Poet, has been earning some early kudos from outlets such as Magnet and American Songwriter. Infinite possibility, zero guarantees. That’s how Andrew Carter, the artist known as Minor Poet, feels about a future in music. “I’m not a very talented musician,” he says with a laugh. Anyone who has given his recent Egghunt Records debut, “And How,” a listen will vehemently disagree with that self-assessment. He even got praise from American Songwriter and Magnet magazines before the record debuted. Carter remains humble, but when Style caught up with him, he admits it is all starting to hit him and a subtle grin suggests he’s pretty stoked. Carter explains that it wasn’t until recently that he found his own style. He stepped away from solo work for a while and most recently played with the Mad Extras, an amped-up, indie-pop outfit. It was while that band was making an album that Carter started tinkering around with scrappy recording equipment at home after the sessions to blow off steam. Those recordings would become “And How,” a glorious, one-man happy accident. “The imperfection might be what makes it what it is,” Carter explains. “That loose feeling came into the music and gives that sense of spontaneity and off-the-cuffness. So many records get worked to the point where the fun has been hammered out of them.” However, when he met with his management team of Brandon Crowe and the Head and the Heart’s Tyler Williams, he was a little uneasy about the release. “It’s a record I made in my basement,” he says, laughing. “Sure we should be talking to labels?” The answer was yes. Minor Poet landed with Richmond-based Egghunt Records, the folks who’ve brought us the critically acclaimed sounds of Lucy Dacus and Avers among others. Minor Poet plays Gallery 5 on Friday, Sept. 22, with Madeline Kenney, Rikki Shay and Majjin Boo. All ages. Tickets cost $5-7. Doors open at 7 p.m. Show starts at 8 p.m.